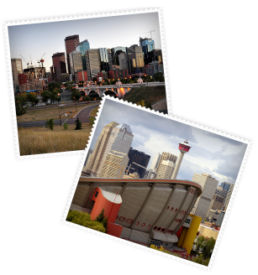 Evanston homes are part of a fabulous master-planned community on the edge of Calgary’s beautiful NW. Nicknamed “Calgary’s most neighbourly neighbourhood,” Evanston encompasses old prairie values and traditions. The city has been built with plenty of open spaces to encourage social sharing, and friendly gatherings among neighbours and friends and public areas have been designed to promote a sense of community, with countless opportunities for conversation and social groups. Several types of houses can be found in Evanston, including starter and move-up homes in several price ranges. Apartment-style condos, semi-detached, and single-family detached options are all available, allowing families at many stages of life to find an Evanston home that’s right for them. Learn more about Evanston homes below! Located in Calgary’s NW quadrant, Evanston property boasts fantastic features, including welcoming front porches and private backyards. Each series of the home is complete with its unique touches, resulting in a medley of houses for families to choose from. Evanston homes have been built by several of Calgary’s premier building companies, ensuring their quality for years to come. The architectural styles have selected to complement one another, and the resulting neighbourhoods are unique and beautiful. While Evanston is already a desirable community, the neighbourhood has plans for ongoing enhancements. Future schools, community centres, shopping districts and public spaces will all contribute to the continuing success of Evanston homes and their encompassing communities. The Calgary Real Estate Advantage team connects savvy buyers to the best Evanston homes & houses. Call 403-968-1496 or contact us online to get started today!